The Castillo de Monjardín winery is always open to wine lovers and visitors where we do different types of visits. We were the first winery in Navarre to open our doors to the public and we also have a restaurant to complement a full wine experience. 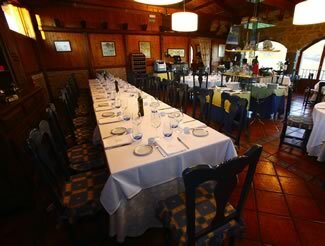 These restaurants are surrounded by a nice garden loking to the vineyards which makes the experience unforgettable with the best products from the region.